The beautiful city of SIBIU, European Cultural capital in 2007, will be the host for this competition. The city has an international airport and with it’s Historic center, Gothic arcades and Renaissance houses is common destination for tourists. 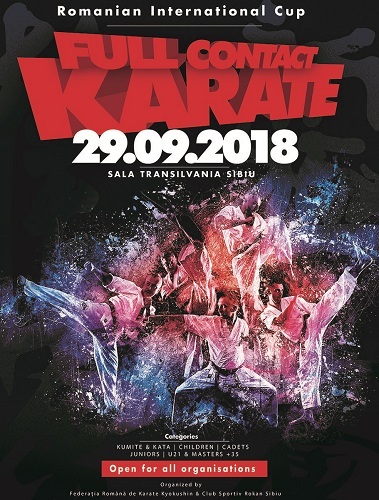 The competition will be open to all Organizations and will include Kumite and Kata events for Children, U16, U18 and U21 competitors as well as +35 Master competitors.